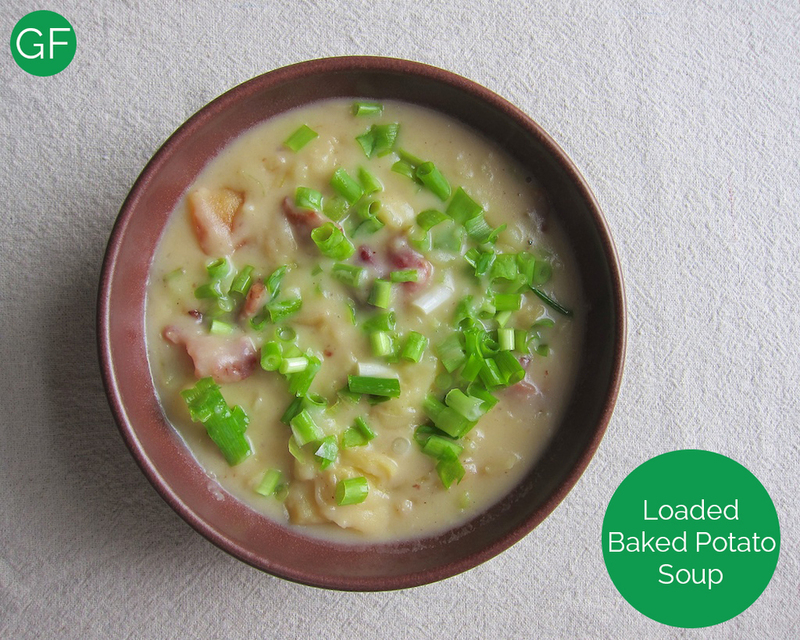 This soup will stick to your ribs and bring comfort after a rough day - if you like a creamy potato-ey kind of comfort. It's probably not so friendly for you health, so I wouldn't recommend having it to often. Moderation is key. Wrap the potato chunks and the 4 tbsp of butter in tinfoil and place in a large, deep baking dish. Bake for about 1 hour or until chunks are soft and a bit roasted looking on the bottom. Heat a large pot or dutch oven on medium heat, add the bacon pieces, and cook until done. Remove the bacon pieces, but leave the grease in the pot. Add the leeks and cook in the bacon grease until translucent. Add the baked potato chunks and smash together with leeks in the pot. Add the chicken broth, goat milk, and roux. Stir together and heat until just before boiling. Add the shredded cheese and bacon to the pot and stir together. Stir until the cheese has melted. Serve into bowls and top with chopped green onions.